Home healthcare is not limited to supporting at-home patients. 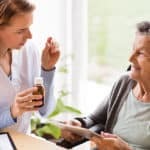 Patients may be receiving home healthcare services whether they are living at home, temporarily residing in a post-acute care facility, or residing in a longer-term care facility. 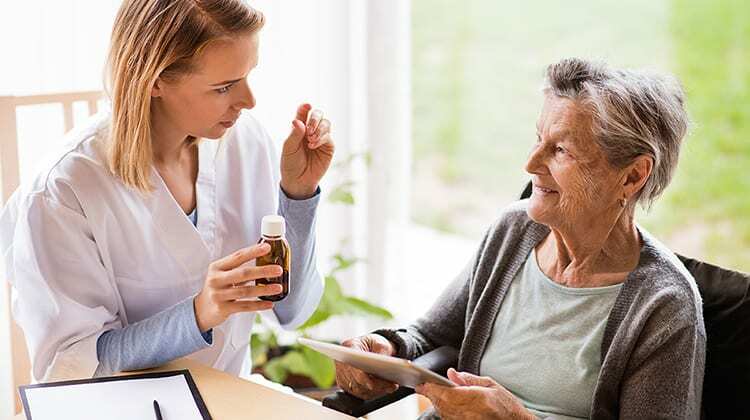 Home health agencies are increasingly working with care facilities – such a SNFs and ALFs – to provide needed care for their residents while helping these residents remain in these facilities instead of being readmitted to a hospital or being transferred to a higher level of care. 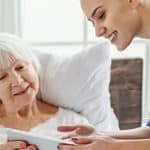 According to a study in the Annals of Long-Term Care, an emphasis on decreasing the duration of a hospital stay and the related risk of hospital readmissions is leading to an increase in admissions to post-acute care facilities. Hospitals are transferring patients instead of discharging patients directly to their home because a transfer to a post-acute care facility can take place more quickly than a direct discharge home – resulting in less time spent in the hospital. Also, a post-acute care facility leverages professional caregivers to provide greater oversight, decreasing the risk of re-hospitalization. Home health staff are part of the professional caregiver network valued by post-acute care facilities because of their role in providing patients with compassionate, comprehensive care – in a more familiar setting. Although agencies may work within a care facility, the SNF medical director or the ALF provider remains responsible for each resident. As communication is a critical element of this partnership, a virtual care communication platform can help drive better understanding and alignment amongst in the home health / care facility partnership. Given this context, the agency can use a virtual care platform to ensure impactful and immediate communication amongst the facility, the agency, the resident patient, and the patient’s family caregiver throughout the continuum of care. A facility’s clinician can be “present” more frequently via video; additional clinicians and specialists can also connect with the patients and visiting nurses to ensure that the patients is receiving the care they need without requiring a transfer back to the hospital or to a higher level of care. When a change in the care plan is initiated, the agency’s care team member can conduct virtual meetings to inform all stakeholders about the rationale for the change and the next steps. The patients’ out-of-town family members can be kept in the communication loop – whether via video, text, and/or email – and alleviate the guilt often associated with not living close enough to provide hands-on support. 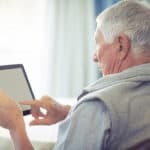 Virtual care communication platform can also help home health agencies reinforce the reputation of post-acute care facilities. Post-acute care facilities value partners who can help minimize the “revolving door” of readmissions and improve overall outcomes. Home health often provides an important link in recuperation and transition from a post-acute care stay to restored independence at home.